The Ronald McDonald House Charities is known for providing a home-like environment for families with critically ill or injured children who have to travel to fulfill their healthcare needs and Casa de Amor gala, which is the biggest annual fundraiser for the Ronald McDonald House Charities, hopes to raise $200,000 with the event this year. “We are excited and encouraged of what Foreman will bring to the gala,” Dottie Adair, co-chair for the Casa de Amor gala said. “This is such a fun gala because it’s a fundraiser that helps families and children that really need the houses help,” Adair said. George Foreman is a former two-time World Heavyweight Champion, Olympic gold medalist, ordained Baptist minister, author and entrepreneur. He won the World Heavyweight title with a second round knockout of then-undefeated Joe Frazier in Kingston, Jamaica in 1973 and made two successful title defenses before losing to Muhammad Ali in “The Rumble in the Jungle” in 1974. As a successful entrepreneur, he is best known for the George Foreman Grill which has resulted in sales of over 100 million units since it was first launched. When not promoting his products, George focuses on his ministry and charitable work, including most recently his “Knock-Out Pediatric Cancer” initiative. 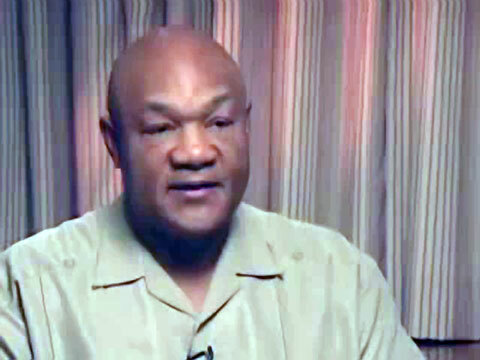 In 1984, Foreman founded the George Foreman Youth and Community Center, a non-denominational place for kids who need direction as he once did. Playing Field Promotions is a booking agent for motivational sports speakers and celebrities. If you would like to book athletes like George Foreman for a speaking engagement, autograph signing, guest appearance, product endorsement, charity fundraiser or corporate event, contact our booking agents for appearance and speaker fees or call 1.800.966.1380.